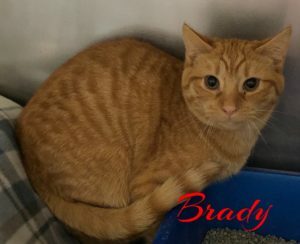 Brady is a delightful orange tabby, born on 8/16/18. He was found while still a kitten in a colony in Elmont. Friendly Brady was fostered and is now at Last Hope waiting for someone to notice how handsome he is. Come meet Brady and fall in love!